This has been my view practically every Saturday morning this summer as I attempt to swim a 1/2 mile in the ocean. This is not an easy thing for me but I go into the water anyway, not knowing how the rest of the swim will go, and optimistic that it will go well. Sometimes the waves are a lot bigger than the ones in this photo. Sometimes the water is a lot colder than it was here (65 degrees, F). Every time I walk out of that water though, I’ve learned something about myself and about the ocean. And I feel a bit more accomplished whether I finish the intended swim distance or not. And I always come to the same realization: I am fortunate to be here today. For that I am grateful. To show my gratitude, I return each weekend I can to practice this challenge so that I can do my best in this endeavor come race day (Sept. 18). At this time the Nautica Malibu Classic Triathlon is less than 45 days away. Another component of this effort is that I am trying to raise funds by August 26 for Childrens Hospital Los Angeles (CHLA) and so that I can fully participate with my tri team in helping raise the largest amount to date by a single corporate entertainment team, to donate to CHLA on race day. If you want to support our efforts and make a tax-deductible donation (of any amount), please go to my fundraising page. My personal goal is to raise and contribute at least $300. Thank you in advance for your support– and I will personally thank you again afterward with a shout out here. Seeing my friend, Clare Means, play this Thursday at Kulak’s Woodshed, in NoHo. My first D23 Expo in Anaheim. My first half marathon (Disneyland Half Marathon) over Labor Day weekend, also in Anaheim. Feel free to leave a comment to tell me what you are really looking forward to most in the next month as well! 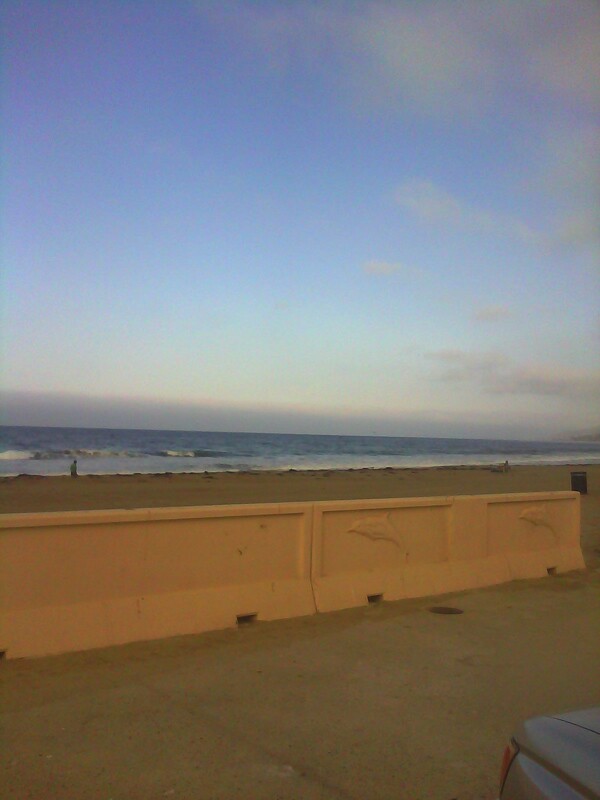 This entry was posted on Sunday, August 7th, 2011 at 1:07 am	and tagged with beach, malibu, postaweek2011, swimming and posted in Uncategorized. You can follow any responses to this entry through the RSS 2.0 feed.